Below: Want to give your teen a gift she’ll cherish forever? 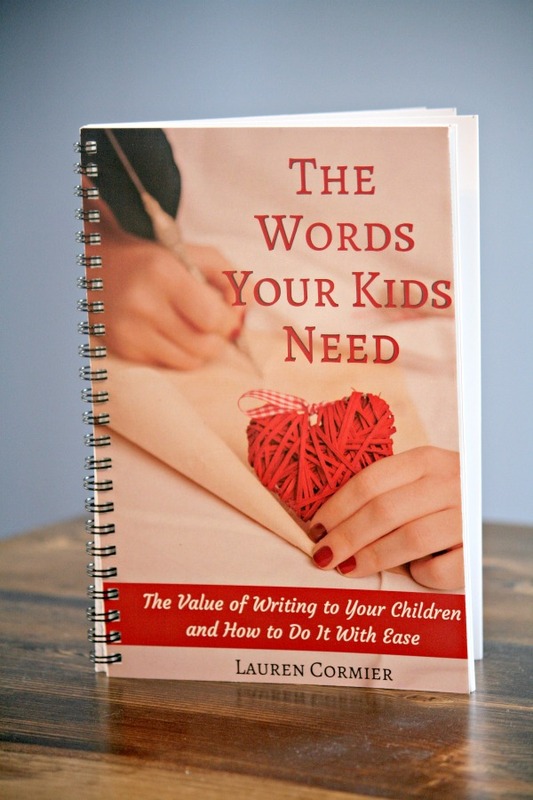 If you’re a Christian mom, this is the best gift idea for your kids that I’ve ever come across. It would make a great birthday, Christmas, Easter, or graduation present. It was a day or two into the new year when I saw the Facebook post. A friend of mine who has four kids was sharing a gift idea she’d had that she was just starting for her oldest son. He was going to be a teenager the following year and she had to start a year ahead of time to make sure she completed her project before he turned 13. As I read her post I knew I wanted to do it for my kids too. In fact, I was so sure I wanted to do it that I immediately headed over to Amazon and ordered the necessary supplies, not just for my oldest, who was still several years away from being a teenager, but also for my other two, even though the youngest still had nine years until her 13th birthday. Once I received the items, I put them in my room, but the kids spotted them. I considered whether or not to keep the project a secret, but decided to tell them what I was planning. I didn’t think they’d care that much. I figured they’d think it was a nice idea, but not be that interested in it. Instead, they were really excited. They wanted me to start right away, even though I’d told them that it was intended as a gift for when they became teenagers. Because of their excitement, I bumped up my timeline by a few years. I still didn’t start right away. In fact, I waited almost an entire year (until the first of this year) to begin. I also decided not to do the projects one at a time. I know how I operate, and the fact that my older two have baby books, but my youngest doesn’t tells me that if I don’t do them all at once, someone is going to get gypped. So what is this great project idea? 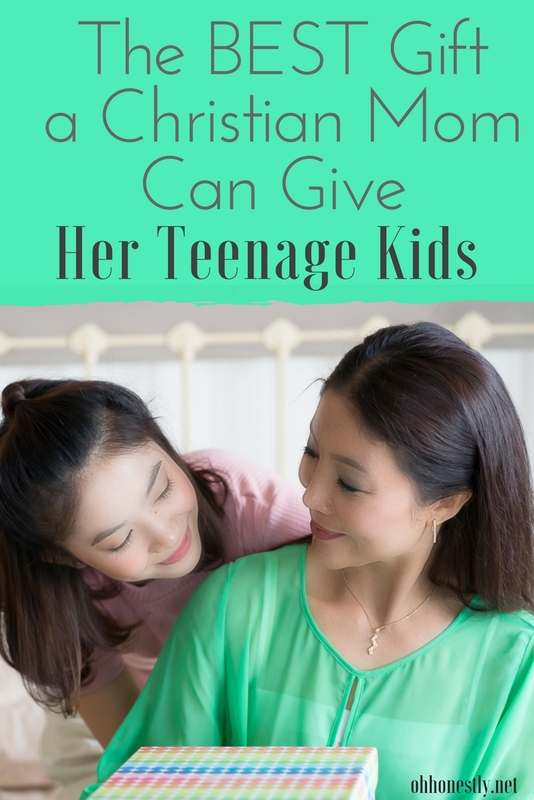 Why did I specifically mention Christian moms in the title? And why does it take an entire year to complete? A Chronological Bible puts the events and writings of the Bible in the order that they occurred, not in the order that a regular Bible has them in. For instance, when you’re reading a section about David having to run for his life from King Saul, which takes place in the book 1 Samuel, the next section might be a psalm (from the book of Psalms) that David wrote during that time. A One-Year Bible divides the Bible up into daily readings so that if you keep up with them, you can read through the entire Bible in one year. 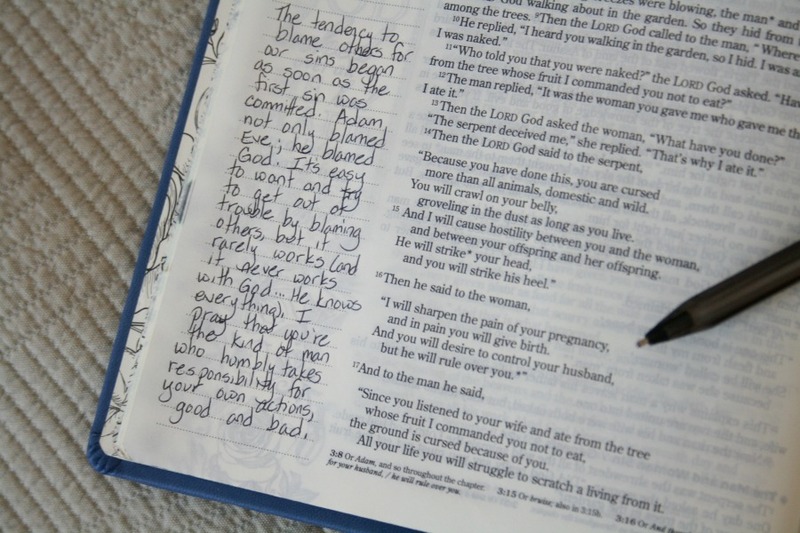 A Journaling Bible has space on the sides of each page to journal. This Bible my friend bought was not for herself. It was for her son, but she didn’t buy it just to give it to him as is. She bought it with the intention of reading through it that year and journaling to him. As she read, she planned to write her prayers for her son, thoughts she had about the passages she read, and messages to her son. If you know me, you know how important I think writing to your kids is. I think it’s so important that I’ve written an entire book about why and how you should do it. So when I saw her post, I fell in love with this idea. What an amazing keepsake for our children to have as they grow. 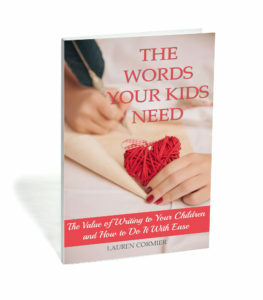 Not only is it an amazing way to communicate our love and hopes for our kids as they go through the tumultuous teen years, but it’s also something that they can treasure as they become adults and move out on their own. Like I said earlier, I bought my three Bibles that same day, put them in my nightstand drawer, and this past New Year’s Day, I began reading and writing in them. Here’s the Bible I bought for my kids. Of course since I’m going through all of them at once, it’ll take me longer than a year to complete them. I decided the easiest way for me to do it is to take one each night when I read and go to whichever daily passage I left off on. I end up reading the same story a few times in a row, but sometimes that’s kind of nice because I pick up on different things each time I read it. Many of my notes have been simple commentary on the passage I read. Some have drawn parallels between a situation in the passage and how I hope my child would handle a similar situation. I haven’t written anything earth shattering. I’m not a Bible scholar or theologian. But I pray each night before I open the Bible that God will speak through me to whichever child I happen to be writing to that night. One day I know, when they need it most, my kids will pick up their Bible and read something that helps them through whatever situation they find themselves in. And even in the day-to-day, I hope whenever they read, they’ll be able to feel how much I love them expressed through every page.